It's All About Penn State Pride. 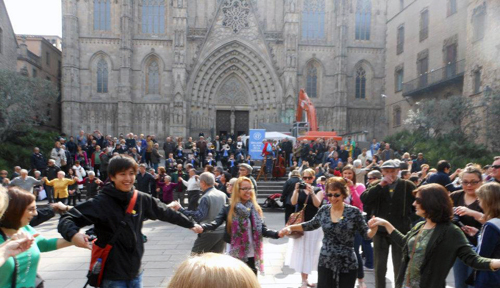 It's Sunday in Barcelona, and the only place to be is Catedral de la Seu. There is nothing like a tourist attraction with music, dancing, locals, and vendors. It is an incredible church located in Barcelona's Gothic district. I am awed by its beauty and architecture. I am of the Catholic faith, but never have I seen such energy and excitement at a Sunday mass service. Many of the students and faculty in our study abroad program joined the people of Barcelona for a celebration on that beautiful Sunday afternoon. Our assignment was to explore the Old Town, which was where the cathedral was located. 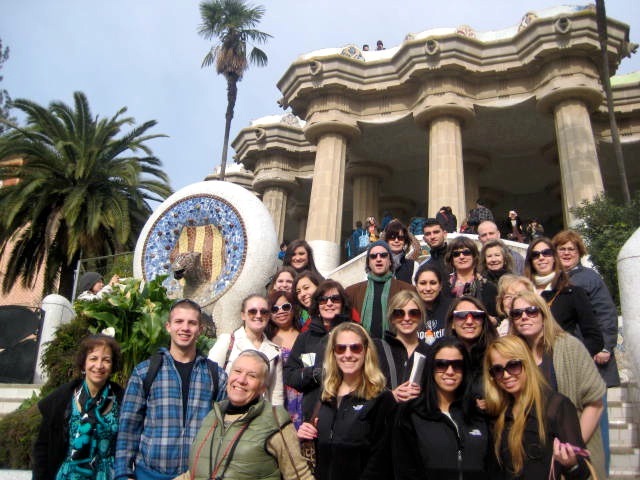 We were able to see the beauty and learn about the Spanish culture for our American Studies class (with Senior Instructor in English Patricia Hillen). 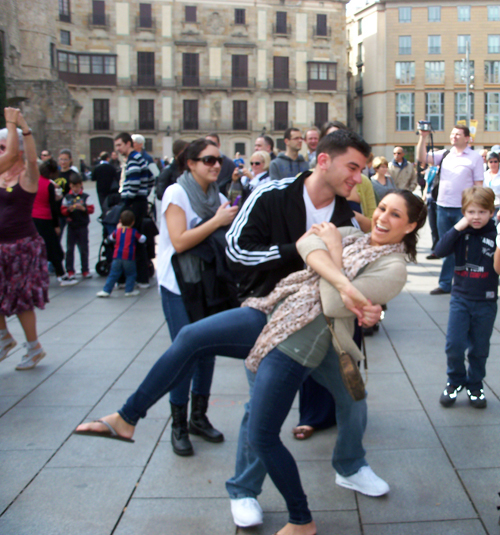 We took pictures and watched the people of Barcelona partake in a traditional Spanish dance. The most exciting part of the day was when we were taught the dance and joined in on the fun. Even though we weren't exactly good, the laughs made up for the stumbles! On our first scheduled tour we were introduced to the artists of Barcelona. We captured Antoni Gaudí's unique architecture that truly could never be replicated. We witnessed the excitement of the Basílica de la Segrada Família -- the basilica that Gaudí designed but was unable to complete before his death. We explored the curves and angles of Gaudí's Casa Batlló, too. My English class (with Instructor in English Patricia O'Brien) required us to write creative poems about the art we saw in Barcelona, and Gaudí provided me with various ideas. Salvador Dalí was a unique and slightly mental artist. However, his art is incredible. For our American Studies class we went to see his museum outside of Barcelona in Figueres. I truly enjoyed our time at his museum. Although some of his art is a little extreme for my tastes, the majority of it drew me in. 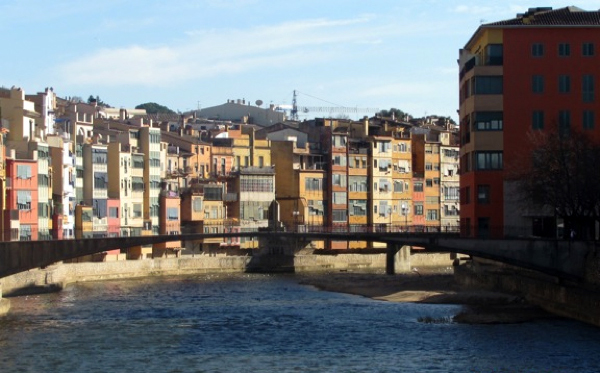 After we left Figueres we traveled to Girona, the most beautiful city I've ever seen. The picture (below) speaks for itself. 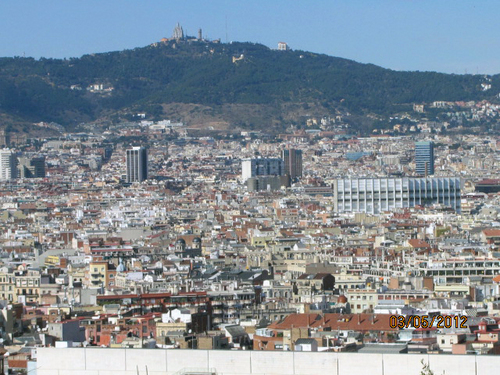 We finally made our way to the end of our trip, and to the top of Barcelona at the Miró Museum. The beauty visible from the roof of the Miró Museum is incomparable. On my last day in Barcelona, I traveled on the metro to La Platja de la Barceloneta. I just had to put my feet in the Mediterranean Sea. It was another beautiful day in Spain, warm and sunny. 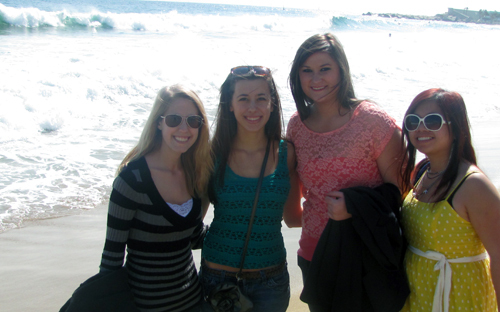 We took our sandals off, rolled our jeans up and walked along the beach. It was nothing short of amazing. The New Jersey beaches cannot compare to the Spanish ones. The view was incredible, and we had a blast. Barcelona is an incredible city. It has something for everyone. I am so glad that I went on this program, and I'll never forget the city and the friends that I made! We're headed to Vienna, Austria and Prague, Czech Republic this May to study philosophy, art, and psychology. With our well-traveled, knowledgable faculty as your guide, you'll explore Hofburg Palace, Prague Castle, Mozart House, Charles Bridge, and so much more. 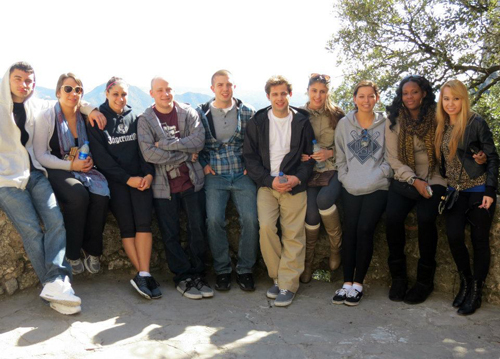 Sign up today or click here to learn more about Penn State Brandywine Global Programs. 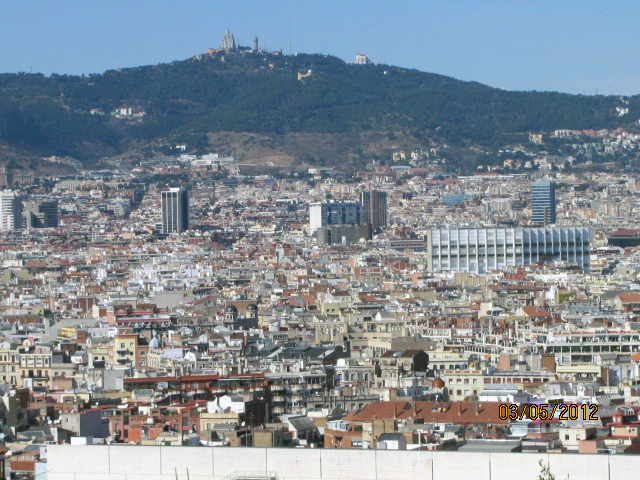 They must have done plenty of exploring, since Barcelona has so many beautiful sights to be seen! 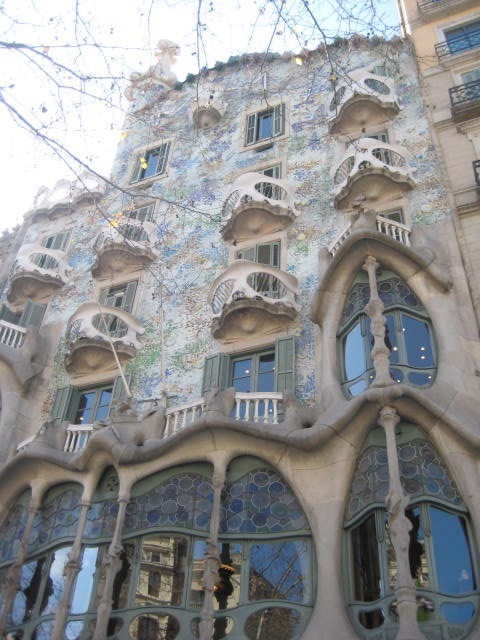 Once i went there for just a day, but was left amazed by what I saw.Especially by Gaudi's creations.